May is here, which means that Netflix (NFLX) is bringing in a whole new slate of content. And this May, the list of new series, stand-up specials and movies coming to the site this month seems particularly stacked. Twenty-nine of the shows and movies being added to Netflix this month are original content, as the streaming giant follows through on its goal of producing 1,000 hours of original programming in 2017. Netflix rival Amazon (AMZN) hasn't said how many hours of original content it intends to produce, but it has reportedly set aside $4.5 billion (compared to Netflix's $6 billion) for original programming. [post_ads]In its most recent earnings report, Netflix attributed lower-than-expected net subscriber additions to its atypical content release schedule, which had them releasing the bulk of their programming in May, rather than during the first quarter. But this quarter's release schedule is expected to help boost Netflix's second-quarter subscriber adds, with the company projecting 3.2 million new members will be added to the service, higher than the 2.5 million analysts were estimating. 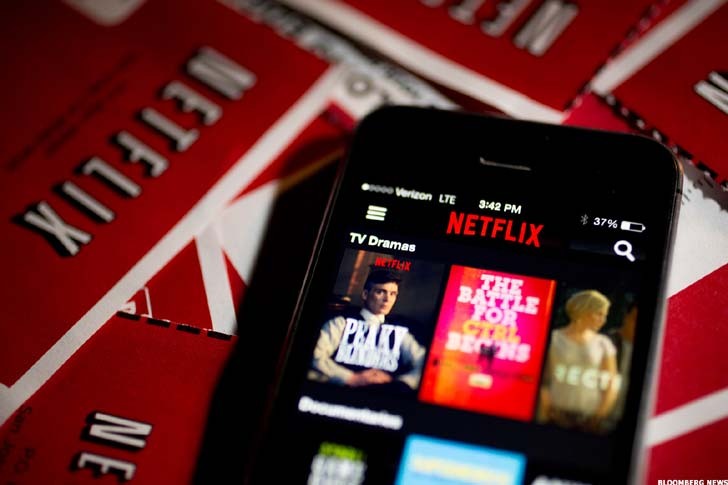 This upbeat guidance helped offset an earnings miss from Netflix. Several of the Los Gatos, CA-based company's popular and award-winning original series are back, including Aziz Ansari's Master of None (May 12), House of Cards (May 30), Unbreakable Kimmy Schmidt (May 19), Sense8 (May 5) and Bloodline (May 26). And new original series are coming to Netflix this month, too, such as Anne With an E (May 12) and The Mars Generation (May 5), among others. Starting May 5, Netflix is also premiering the second season of Chelsea, the site's first original, weekly talk show starring comedian Chelsea Handler -- a format that diverges from Netflix's typical binge-watching model where it releases all episodes of a season at once. New episodes of Chelsea will come out every Friday and are expected to host guests including Neil DeGrasse Tyson, Rashida Jones and Chris Pratt. Movie-wise, on May 26, Netflix will drop War Machine, a feature-length military satire starring Brad Pitt, Tilda Swinton and Topher Grace that the company reportedly paid $60 million to obtain the rights to. And four other Netflix original films -- In the Shadow of Iris (May 1), Handsome: A Netflix Mystery Movie (May 5), BLAME! (May 19) and Sahara (May 12) -- will also be released this month. Aside from originals, Netflix has a solid schedule of movies coming to the site, including Marvel's Doctor Strange, Don't Think Twice, Forrest Gump and Southpaw, among others. Amazon's Prime Video, meanwhile, packs its own punch of new, binge-worthy content in May. Oscar hits Moonlight and Manchester by the Sea (an Amazon Original) will be added, along with beloved classics The Wizard of Oz and Gone with the Wind, and a whole collection of James Bond movies. Judging the lists of new content coming to Amazon and Netflix this month, it's clear that the streaming content arms race remains in full force.